Sometimes we can't believe that in the nine years that we've been in business that there are still venues that we have never even heard of in the Atlanta area! Well, we were extra stoked to shoot Mary-Alice + Dylan's wedding because it was our first time shooting at their venue, Little River Farms. We have never been at this gorgeous place, but this month, we had three weddings there! And, WE HAVE BEEN LOVING IT! In fact, for our personal taste, this is our favorite venue yet! We are fans of farm houses and we have slowly but surely have been trying to transform our home into a farm house, so our jaws dropped when we saw this sweet place! You get this sense of peace and serenity when you're there... the staff is excellent and so accommodating and nice to work with. The house has amazing natural light and all I can say is that it was a perfect day and place for Mary-Alice + Dylan. The weather was beautiful, the bride was breathtakingly gorgeous, the groom was dapper as can be and was anticipating the moment he could lay his eyes on his bride. Everything and everyone was so on time that we were actually running EARLY with their schedule... Now, we have lost count, but in the countless weddings we have been to, it is rare to be in one where everything is on time, let alone early. It was a photographer's dream. :) Mary-Alice was all smiles... she just couldn't stop smiling and was one of the happiest brides we have ever seen! And, can we mention her eyes? Wow! They were the bluest ever.... absolutely stunning. One of the sweet things that this couple did for one another was exchange letters before their first look. As photographers, we anticipate for the emotions to happen naturally and we definitely got it especially with Dylan. :) It was awesome.... His heart was moved and it was the perfect time to set up their first look. As Mary-Alice approached him, we know that his heart was racing. And as he finally saw his bride for the first time, happy tears flowed and we saw nothing but smiles and heard nothing but laughter. I remembered thinking, "Awe... the way it should be...." There was so much joy that it filled our hearts as well. This moment set the tone for the rest of the evening and needless to say, it was a beautiful celebration. 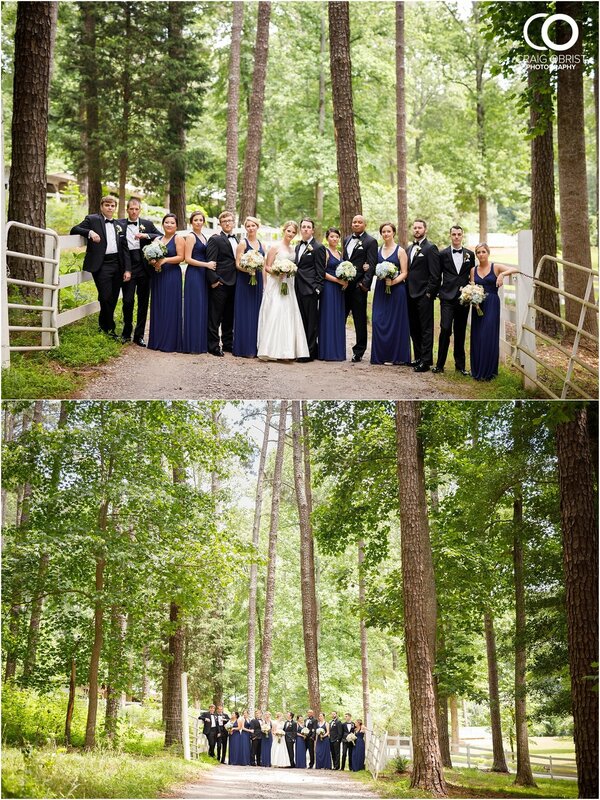 When you meet a great couple, you know that their families will be too and wow... the couple's family as well as their bridal party and friends were so kind to us and for that, we are very, very, VERY grateful! We felt so welcomed and when Dylan's mom gave us their cake leftover at the end of the night, that was the cherry on top. :) Mary-Alice + Dylan... we know that you patiently awaited this day. It has been a wonderful experience meeting you guys from the proposal to the engagement and now your wedding day. We hope to continue our friendship with you as we witness your family grow in the future. We hope to be your photographers for life! Thank you for allowing us to be part of your love story... It has been a true pleasure... we hope that you will cherish these captured moments and be able to relive the best day of your lives. May you be blessed!